Like the new pope, he walks among us. 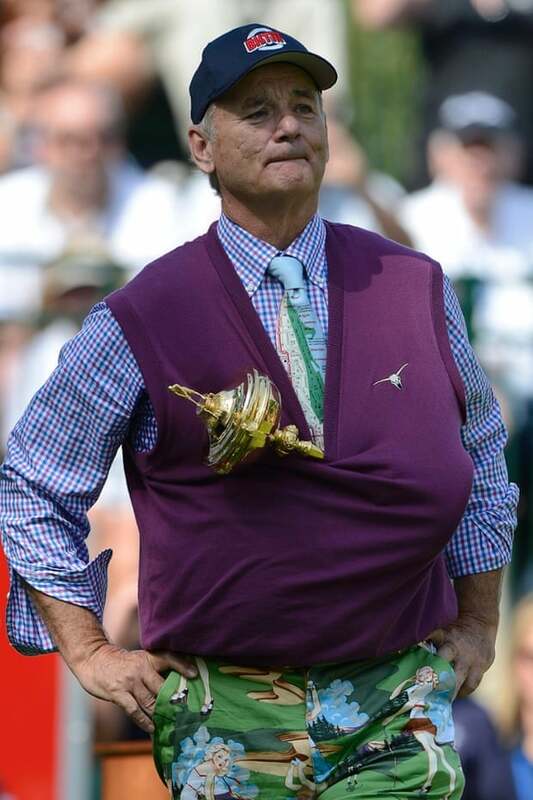 I’ve never been sure about Bill Murray. Ghostbusters was fun, Groundhog Day very clever, but Lost in Translation seem a more apt title than its makers intended, even on a re-watching after a visit to Japan. And I haven’t seen St Vincent. And he’s a bit, well, weird. Even by Hollywood standards, ie even apart from what could best be described as a complicated moral life, and marital history. His parents were Irish Catholics; one of his sisters is a nun. This conspicuous religion adds to his broad church appeal (there’s a citation from the Christian Science Monitor on his golfing memoirs). You don’t need to ask if his faith is important to him. He talks about how 19th-century candidates risk not getting canonised because the church is keen to push ahead with the likes of John Paul II and Mother Teresa. “I think they’re just trying to get current and hot,” he smiles. 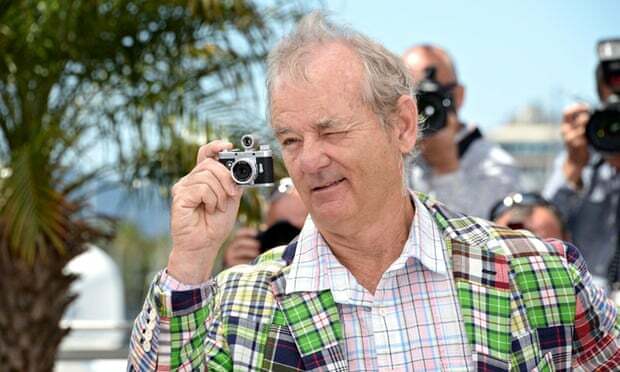 Thing is: if you’re Bill Murray, every day is Bill Murray Day. Every day a Groundhog Day of being treated like a deity. Deification is a recurrent theme, but it may tell us more about The Guardian’s attitude to God than anything else. It doesn’t seem like Murray buys into this attitude, though: quite the contrary, his eccentricity seems to satirise it. And yet it almost seems as though the less seriously he takes himself, the more seriously his fans, and especially the media, take him. …off-screen, the closer to average Murray gets, the less we want to be like him. It’s the frank and freewheeling real-life guy we worship, the one who rollicks about dressed like a jumble sale, whose irreverence hasn’t been curbed. So why does he connect quite so deeply? Cameron Crowe, who’s just finished shooting a movie with him, thinks Murray’s detachment from the star system alters his affinity with an audience. Like the new pope, he walks among us. There’s a bit of a sense that Shoard too is being tongue-in-cheek – unlike some of the people she describes. And it seems that Murray himself is quite self-consciously walking through the “fourth wall” – while acknowledging that it’s there even in his day-to-day life, thanks to the cult of celebrity that forms so much of our popular culture. Perhaps this goes some way toward explaining his dress sense, which is eccentric even by the standards observable at the intersection of Hollywood and Golf. And somehow, despite the possibly self-parodying language, there’s an idea conveyed in those words that I at least struggle to communicate in too many carefully-phrased sentences, perhaps because it’s about something almost the opposite of verbal logic, in a place where you have to let go of the words and focus on the Word. Maybe he is a genius – if not exactly a role model. Maybe I should give Lost in Translation one more try. It does have Scarlett Johansson, after all.